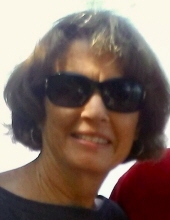 Christine R. Hokkanen, 68, of Fayetteville passed away on Wednesday, January 16, 2019 in Atlanta, GA. She was born in Savannah, GA on March 7, 1950 to the late Eva and Harold Roberts. Chris married the love of her life, Bob Hokkanen, on October 16, 1971. She was retired from Clayton County Board of Education, where she taught special education students. Chris was a member of Christ Our Hope Lutheran Church of Riverdale. She loved cooking/baking, history and nature. She was also a make-up artist, a runway model and taught modeling. The greatest joy of Chris’s life was reading and spending time with her grandson, Brandon. Chris was preceded in death by her parents and her brother, Kenny Roberts. She is survived by her husband of 47 years, Bob Hokkanen; her daughter, Amy Hokkanen; her son, Bryant Hokkanen; her grandson, Brandon Hokkanen; her brother, Charlie Roberts and a number of nieces and nephews. The family lovingly requests no flowers, but if you desire, donations in Chris’s memory may be made to Christ Our Hope Lutheran Church, Post Office Box 961690, Riverdale, GA 30296. The family will hold a memorial service at a later time. To send flowers or a remembrance gift to the family of Christine R Hokkanen, please visit our Tribute Store. "Email Address" would like to share the life celebration of Christine R Hokkanen. Click on the "link" to go to share a favorite memory or leave a condolence message for the family.